Costway reward point is a kind of coupon or discount which you can get through a variety of activities in our www.costway.co.uk online shop. By exchanging costway points for a certain amount of discount, you can save up to 20% of your total order value in your shopping cart. Compared with normal coupons and discounts, costway reward points will never get expired. When you place an order, you can directly exchange the points that you earned to some money. Each costway reward point equals to 0.01 pound. 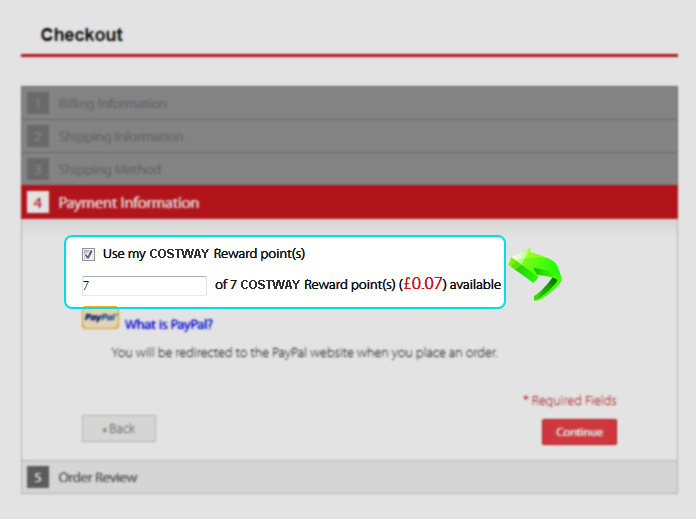 Once you have registered with www.costway.co.uk, you can earn points through the following methods. We sometimes have activities, though which you can get double points. Please always keep an eye on our newsletter or www.costway.co.uk!